Minnesota municipal utilities and electric cooperatives will soon be able to charge more to customers who produce their own solar or wind energy. Supporters say it's a common sense change. Opponents, however say it could decrease future investments in clean energy. Beginning next month, however, a municipal utility or a co-op can begin charging new net metering customers a "reasonable and appropriate" fee simply for being part of their electric grid system. • Related: With session over, did rural Minnesota's GOP bet pay off? Current customers are not affected by the change, which takes effect July 1. The new language also does not apply to the state's largest power company, Xcel Energy, so Xcel customers interested in adding solar would not be affected. The change was part of a larger jobs and energy bill that lawmakers passed in last week's special session. It was one of those lingering issues that held up negotiations. It was needed, said Rep. Pat Garofalo, R-Farmington, chair of the House panel that deals with energy issues. "Under the current system, people who have distributed generation, solar panels on the roof or their own personal windmills, they're able to use the grid without charge and this means higher rates for other consumers," he said. "We fixed that so it will no longer be a problem moving forward." Net metering was designed as an incentive for renewable energy investment. But some warn the new changes could have the opposite effect. The change is unfair, a step backwards and needs to be overturned, said J. Drake Hamilton, science policy director for the group Fresh Energy. "It dis-incentivizes those customers who are voluntarily trying to clean up their own energy use at their home and in their community with these highly unfavorable, discriminatory rates," Hamilton said. "We think it's very bad policy." Supporters of the change insist it will level the playing field for all customers. Kristi Robinson, distribution system engineer at Steele-Waseca Cooperative Electric, said net metering customers pay less than other customers but use the system more, because they both buy and sell electricity. 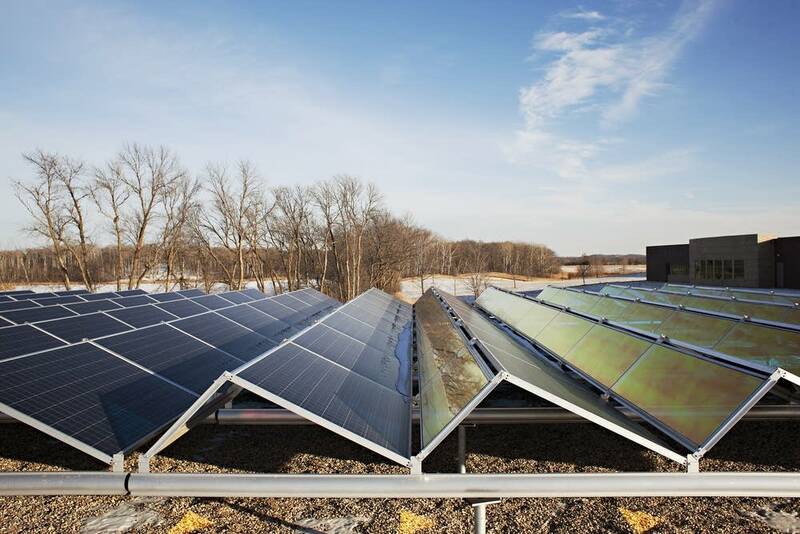 The Owatonna, Minn.-based co-op currently has 34 net metering customers in a system of nearly 10,000. "They're not offsetting anything," she said. "They're putting multiple small generation up side by side with no load to offset it. In the eyes of the utility, that wasn't the intent of net metering." With the law change, "we're able to dial that back a little bit, where they will also be paying their fair share of the distribution system." It's also not clear how much utilities will charge. It's up to the municipal utility or co-op to decide. The legislation's only guidance is that any additional charge by the utility must be "reasonable and appropriate for that class of customer based on the most recent cost of service study. The cost of service study must be made available for review by a customer of the utility upon request." Robinson said the co-op board will determine how much to charge new net metering customers for using the grid. Some critics of the change warn that its impact could be wider than new net metering customers. It will cause market uncertainty for Minnesota businesses involved with renewable energy, said Senate Environment and Energy Chair John Marty. "Maybe we don't want to invest as much in Minnesota. Maybe it's too risky in Minnesota, so we'll go elsewhere. That's not what we want to be doing," said Marty, DFL-Roseville. Those renewable energy firms "provide good paying jobs well above the state median wage," he added. "They provide good business opportunities, and it frankly keeps our electric power dollars in Minnesota."